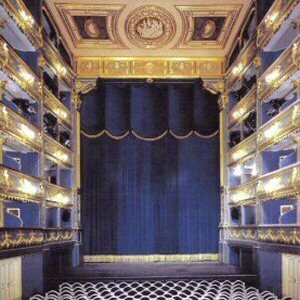 For the anniversary of Mozart's birth (1756-2006), Mozart Praha company presents Don Giovanni in Prag Estates Theatre where the piece was first performed in 1787. 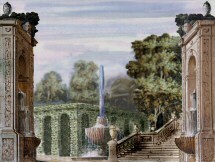 On request of Jiří Kotouč, artistic director, and in agreement with Lubor Cukr, stage director, the sets of the production are an attempt to recreate the original sceneries by Josef Platzer. Research on the original decorations of Don Giovanni was undertaken within the Académie Desprez by members of its Groupe de Recherche: Magnus Blomkvist (Stockholm), Lubor Cukr (Prague), Romain Feist (Paris) under the coordination of Rémy-Michel Trotier and the direction of Gilbert Blin, assisted by Donna Worrall (Amsterdam). Created in 2006, this production revived in 2007 and 2008 is presented again in 2014. We invite you to discover here an overview (in ) of the reconstitution process implemented for the production.